Worried about building trust and rapport with clients? Here are a few ways advisors can build trust in business. ​Selling a service is a different than selling a physical product. The physical product, like a kitchen knife, is tangible and can be evaluated on the spot. Will it cut my tomatoes or not? Financial services are difficult to evaluate because there’s no look or feel, and you can’t look at what someone else purchased to evaluate it. In the case of sophisticated expertise services like financial planning, there’s no basis to judge the expertise. In some services, a money-back guarantee can solve this problem, but financial services cannot be guaranteed. Because it’s so difficult for consumers to judge financial services providers, the greatest competitor is client inertia, not other financial services providers. After all, hiring a professional is a dangerous uncertainty, while doing nothing is easy. Rather than weigh all the possibilities or attempt to figure out the unknowns to make the best choice, consumers look for a solution that is “good enough” to address their needs. Because people fear the unknown, it makes them much more likely to choose the service provider they fear the least, rather than the one that might turn out to be the best but come attached with more uncertainty. The financial advisor who can cultivate trust stands the best chance of converting prospects. Because sales are about pairing what you offer to what your prospects want/need, there’s a large educational component involved. If you sell insurance, teach the prospect about the value of insurance, what it does, how it can protect them, and so on. Be sure to link the benefits to their particular situation. A confused person says “no”. You must make sure that your particular prospect understands the value of your service in such a way that they can see the direct relationship to their own life. If you’re selling a dividend income fund, find out if consistent income is important to the prospect and stress the feature of a long track record and the benefit of peace of mind. One of the reasons this tip is so powerful is because the educational content can be systematized and refined over time, improving your conversion rate. As you present the content over and over, you can ask questions and fill in any gaps you may have missed for future presentations. You are a professional guide who is helping people along their financial journey. If you “sell” from a place of curiosity and teaching, you will go far. 2. Does this person understand my unique situation? 3. Will this person give me straightforward, unbiased advice? Trust is numero uno. One of the reasons closing a deal on the first contact is so difficult is because no trust has been built. Use my guide as an example. If I send out 1,000 sales letters to sell my guide, anywhere from 1-6% of the advisors end up purchasing based on that letter alone. However, a lot more either connect with me on LinkedIn or join my mailing list. The people who connect or join my mailing list usually end up purchasing the guide sometime in the next one to three months. The guide itself didn’t change. The price didn’t change. The guarantee didn’t change. What changed? Simple – the level of trust increased. They saw that I was serious. They read a few of the articles I sent via my mailing list or posted online. They might have messaged me or called me a few times. I gladly help them out in any way I can, because that increases trust. I can be completely transparent about all this stuff because it works. If you make contact with a prospect for the first time, he/she probably doesn’t trust you. This is one reason why it’s important to not get discouraged at first… this distrust is completely natural and it has nothing to do with you. In fact, a CBS News/New York Times poll asked, “What percent of people in general are trustworthy?” The answer was 30%. Wow! Then they asked a similar group a similar question… “What percent of people that you know are trustworthy?” Then the answer was 70%. That’s a HUGE difference! Get to know your prospects and you will be richly rewarded. Do what you say you’re going to do. If you got to see what I see every day (your competition), you would be amazed at how little follow-through financial advisors actually have. “I’ll call you sometime next month” becomes completely forgotten and “I’ll take a look at it later” falls by the wayside. If you tell a prospect that you’re going to do something, please, do it. If you don’t, you will lose all trust and credibility. Make them grateful and be grateful yourself. A 2005 “Feeling and Believing” study by The Wharton School shows that anger decreases trust and gratitude increases it. Let them know that you’re happy to know them and help them in their daily lives. I strongly recommend a follow-up program that is centered on a prospect’s lifestyle. If someone loves to hunt, send them one of the most popular books on hunting. They will be grateful that you’re actually trying to build a relationship and not just hit your business goal. This also helps you become relatable, which builds trust even more. Trust them. Rather than greasing your prospect up with some sleazy sales line, close them by saying, “You decide – I trust your judgment.” If you treat someone as trustworthy, they’re more likely to reciprocate. By putting your trust in them, they will put their trust in you. Let them go. Whoa! Did I just tell you to give up on your hot ready-to-goprospects? Hear me out… if someone isn’t necessarily a good fit, let them know. Suggest alternative solutions to their problems and make sure they know you’re always there for them if they need you. Absolutely nothing builds trust more than this because it demonstrates your good intentions. What results from this? Referrals. And if the original prospect does become a good fit, you’ll be the first choice. 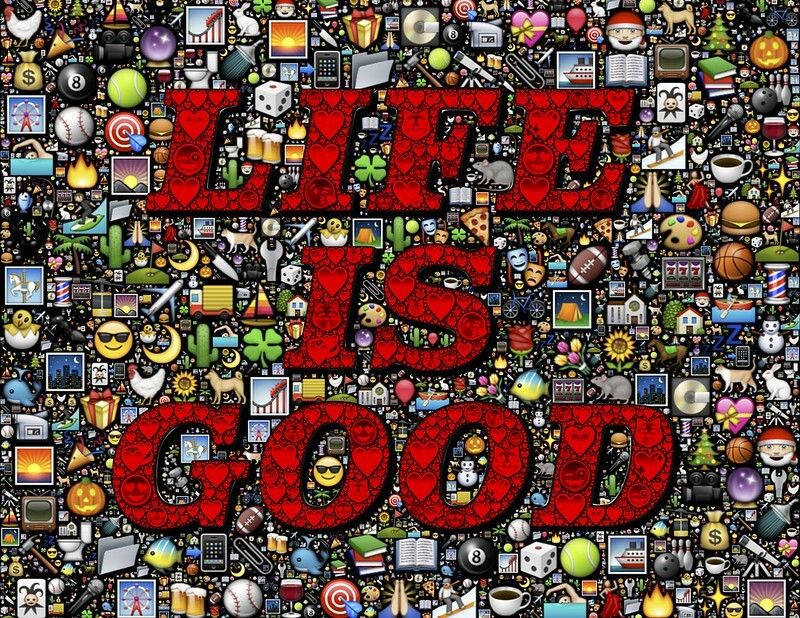 Remember that "life is good" and don't get too emotionally attached to your business. 1. Absolute trust. This involves trusting someone with your life or your most intimate secrets. No level of trust is higher than this. Think of your spouse, or a doctor giving chemotherapy. As a financial advisor, this is where you are making major decisions for the client. It is very unlikely that people will place you in a position of ultimate trust, no matter what you do. You may get one or two clients that trust you in this way, but it is rare. 2. Trusted advisor. This should be your expected goal. A trusted advisor is someone who gives high-level professional advice, like a priest, lawyer, or psychiatrist. When you are at this level, the client knows that you are putting his/her interests first. 3. Friend. I see so many financial advisors end up in the “friend zone”. They’re so close to becoming a trusted advisor, but they never quite make it. This is where your prospect may like and trust you, but they don’t have complete confidence in them. Being looked at as a friend is a major hurtle in selling. Sometimes it’s enough to convert a prospect, but you’d be better off as a trusted advisor. If anything, being a friend is a powerful incentive for prospects to at least listen to what you have to say. 4. Friend of a friend. This makes it easier for prospects to listen to you, but it usually takes other appeals to get their business. When I first got introduced to the business, my managing principal totally sold me on the “referral chain”. He told me to get a friend to give me three referrals, get three more referrals from each of them, and so on. What a disaster! If you subscribe to this theory, get comfortable in the “friend of a friend” zone. 5. Brand trust. Your brand is known to them. Almost everyone knows Edward Jones. If you knock on someone’s door and say, “Hey, my name is Joe Advisor from Edward Jones” they will trust you because they know you’re dealing with a big brand. Not having a well-known brand is another obstacle to overcome. 6. Situational. 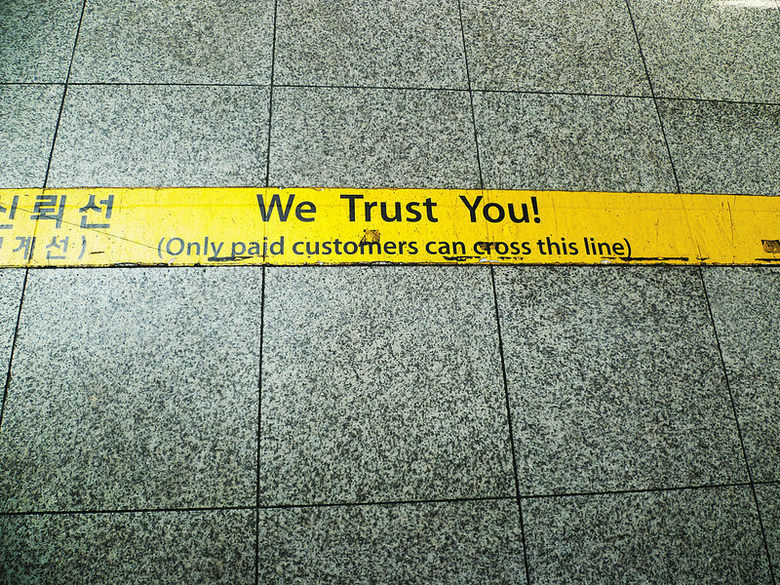 For some businesses, situational trust is pretty much all you need. If your pipes burst at 2:00 a.m., you call plumbers and assume they know what they’re doing. There’s no loyalty and no relationship. For financial advisors, situational trust doesn’t cut it. The higher you can get up the trust ladder BEFORE you see the prospect, the faster and more effortless the sale will be. Above all else, trust takes a long time to build and it can be ruined with one bad decision. Value it and cherish it.